There are different levels of participation for you to consider. We realize that hard earned cash needs to be spent wisely, and while we would suggest that the world suffers when rhinos are killed in a range of intangible ways, the world also suffers dramatically in very real ways as well. It costs 100 times as much to push back the tide of poaching once it begins in an area, than it does to prevent it in the beginning. It costs many thousands of times more to rebuild animal populations once they are near extinction. We urge anyone considering a financial donation to understand how it is being spent. Many NGOs keep between 15-40% of project dollars to cover administration. In combination, Great Plains Foundation and the Africa Foundation use 2.5% to cover basic bank costs. 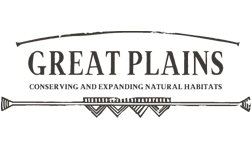 All advertising and marketing costs are taken up by Great Plains Conservation and andBeyond as their donation and further contribution to this effort. Donations may be made through either Great Plains Foundation, Africa Foundation or Go Pro for a Cause. Go Pro have pledged to match whatever donations are raised for this project via their platform. 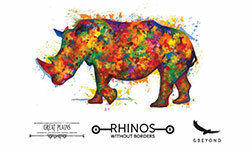 All proceeds will be handed over to the Rhinos Without Borders initiative. For smaller donations, we invite you to support our initiative via our innovative fundraising website. Here you will be able to receive immediate rewards based off the level of donation you kindly send us.